Feds Nab 3 Medicare Fraud Most Wanted | Three in 3 Months! Many people know that the FBI and U.S. Marshal’s Service have a “Most Wanted” list but did you know that the Department of Health and Human Services has a Most Wanted Fugitives List too? It’s true. The Department’s Office of Inspector General serves as the agency’s law enforcement arm and they routinely go after Medicare fraud suspects that have fled to avoid prosecution. Martin Ruiz was indicted in June of 2016 on four counts of federal Medicare fraud. Prosecutors say that he was the sole director of a Miami, Florida company known as Magnifique Home Health Care. While running that company, the Justice Department claims that Martinez Ruiz obtained the names and identification of Medicare beneficiaries so that his company could bill Medicare for services that were never rendered. They say that he collected $4,782,405 as a result of the scheme. 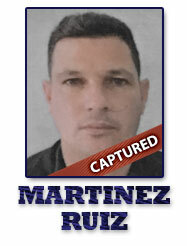 After the scheme came to light, prosecutors believe that Martinez Ruiz fled the United States. He was arrested trying to re-enter the United States from a flight that originated in Cuba. On November 29th, he was held without bond and is now in the custody of U.S. Marshals while awaiting trial. Martinez Ruiz faces forty years if convicted of all charges. Under federal sentencing guidelines he likely will face a sentence of 10 years or less and will have to reimburse the government for any monies he stole. Because Medicaid and Medicare are funded with tax dollars, theft from either of these programs hurts every American. Prosecutors claim that Adrian Basanta was part of a massive organized criminal enterprise that was engaged in Medicare fraud throughout southern Florida. The scheme cost taxpayers $12.5 million and involved at least 42 people and many pharmacies. Indictments were issued in June of 2016 and ten of those suspects were considered fugitives, including Basanta. With his arrest, just five of the original 42 suspects charged remain outstanding. Court records suggest he remains in custody while awaiting trial. The arrests were part of a joint effort involving special agents from Health and Human Services, Customs and Border Patrol and the Miami Dade Police Department. Fuentes was indicted in 2008 in Miami, Florida on 11 counts of Medicare fraud and conspiracy. Prosecutors say that he was running a company called D&A Therapy Center. According to his indictment, D&A provided “infusion related prescription medications” to Medicare beneficiaries. 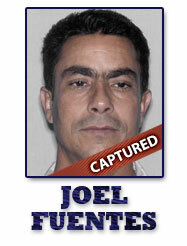 Although Fuentes managed to remain on the lam for years, he was caught by Border Patrol agents in Texas on September 14th. Bond was set at $250,000 by a U.S. Magistrate Judge. 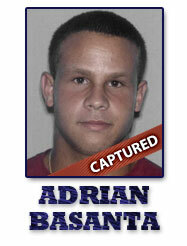 As of December 8th, the Department says he has not posted the bond and remains in custody. As these cases demonstrate, the government eventually catches most criminals, even those wanted for Medicare and Medicaid fraud. It may take years to capture fugitives on the run but the Department of Health and Human Services has good working relationships with local police and other law enforcement agencies. Many fraudsters get caught when they try to sneak out or back in to the United States. Each of the fifty states also has a Medicaid Fraud Control Unit that goes after criminals stealing or cheating state funded Medicaid fraud programs. These units work very closely with each other and federal law enforcement agencies. Add the FBI into the mix and Medicare fraudsters that run ultimately get caught. Police can catch the bad guys when they run but detecting these crimes is far more difficult and important. Law enforcement primarily rely on whistleblowers to detect these illegal schemes. Anyone with inside information about a fraud involving Medicare or Medicaid can be a whistleblower… billing clerks, nurses, therapists, patient recruiters, physicians and sometimes patients. Under the federal False Claims Act, whistleblowers are eligible to receive large cash awards. 29 states have similar award programs for Medicaid fraud. In 2014, the federal government alone paid whistleblowers $435 million in award monies. Whistleblowers whose cases are successful in recovering government funds are paid cash awards often falling in the hundreds of thousands to millions of dollars range. If you have knowledge of Medicare or Medicaid fraud, submit your report. One of our panel of lawyers will provide a no cost evaluation of your case and help you decide if you have a case. Help put a stop to fraud and collect your cash reward.